Old Meets New. What’s Your Challenge? 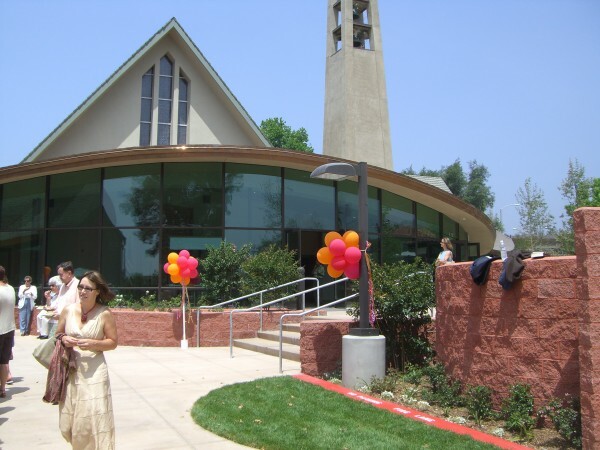 LA CANADA, Calif. (March 23, 2011) – What do you do when you need to have a venue for contemporary worship? Your present place of worship is a very traditional but visually attractive space that everyone loves, and doesn’t want to spoil with screens and theater lights. Adding a separate all-new contemporary worship space may be the logical answer. 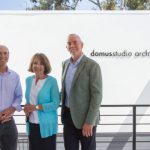 At La Canada Presbyterian, the result is an innovative Worship Arts Center. 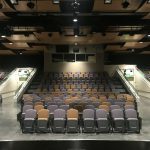 This fresh, flexible venue has options for various stage and seating configurations and is totally “tech-ed” out for a wide variety of media and performances. As a bonus, new restrooms and a new gallery/lobby are usable by the traditional worshippers as well, linking the community of worshipers and styles. Everyone is happy and the new space has been full from Sunday one. OCEANSIDE, Calif. (March 11, 2011) – Hundreds gathered recently for a grand re-opening of the Oceanside Public Library, where a new interior by domusstudio architecture showcases an airy, light-filled atrium and new consumer-friendly retail-oriented theme, all within strict budget constraints. • sustainable repurposing of existing library furnishings and used bookstore shelving. Other than enlarging the main entrance, no exterior modifications are included in the $658,000 redesign. 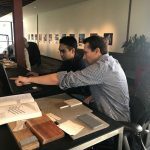 The interior renovations put the library on the cutting edge of library design with a new marketplace service model, changing the way public libraries are organized and operate. 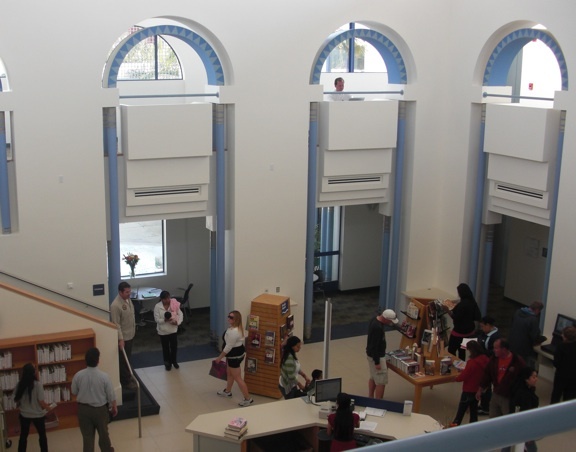 “We have a new service philosophy to encourage browsing,” Polich said, adding that library staff also is training to put more focus on people.